Tottenham's 3-0 Champions League result over Borussia Dortmund made it 13 wins out of 13 when Son Heung-min scores, much to the delight of Mauricio Pochettino. 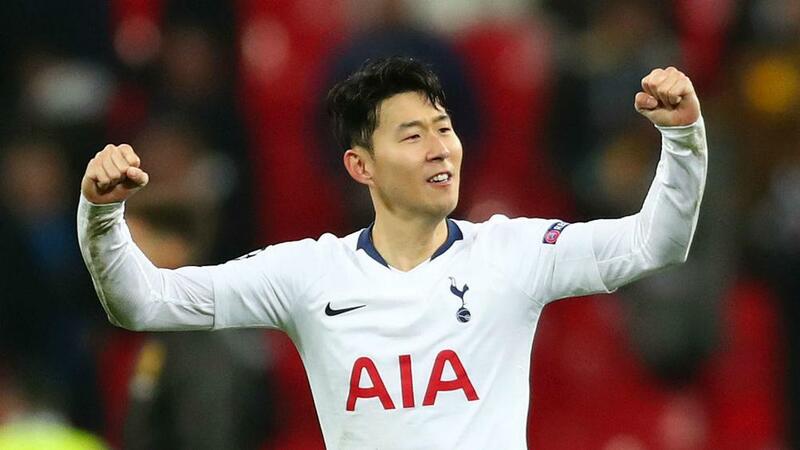 The South Korea international found the net for the fourth successive game, helping Spurs take a commanding lead in their last-16 tie. After being informed that Spurs always triumph this season when the 26-year-old scores, Pochettino was quick to praise the in-form forward during his post-match press conference. "Next time Son scores I will go to the dressing room, have a shower and wait for the game to finish," he joked to the media. "Son was fantastic again, he's doing fantastic. He's a player that provides the team with a lot of very good things. "His smile, he translates good energy and his performance in every game is improving. We’re so happy." Son was not alone in earning Pochettino's praise, however, as the Spurs boss was ecstatic at the team's performance following a tough Premier League fixture against Leicester City on Sunday. "I feel so proud. My players are heroes," he added. "It was a massive victory for us and the players deserve all the credit. It was fantastic. "To play with one day less recovery, we need to praise them. They've won the possibility to have a few days off."